Native American hunters who were taught in the old way speak of prayerfully looking into an animal's eyes and asking permission before taking its life. Attuned to interpret the hunted's cues, the stalker will seek elsewhere when he perceives a beast's answer is "No." 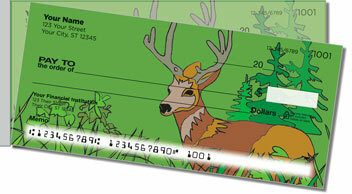 We're reminded of this tradition by the minimalist line work on our Big Buck Side Tear Checks. 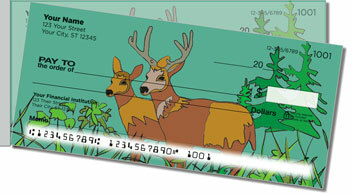 Their simple yet masterful illustrations capture the inherent dignity of these magnificent woodland creatures. Their piercing eyes indeed speak volumes! 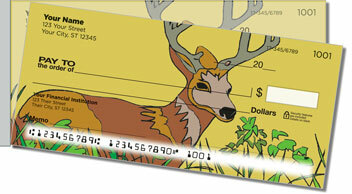 So what are you waiting for -- hunting season? 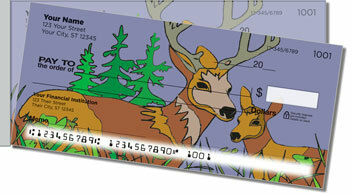 Order your very own Big Buck Side Tear Check and matching address labels today!